Take a read, soak in the meaning, then read again. When you’re ready, feel free to send me comments and feedback. I’ll make sure Ed hears what you’ve got to say. For my part, I’m really happy with what he’s doing. The concept of “Leviathan” is one that is very near to the evil Alice seeks to destroy in Otherlands. Verne’s role in shaping mankind’s destiny as a part of that battle is a powerful one. Success! 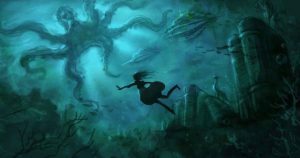 Alice is off to Otherlands! 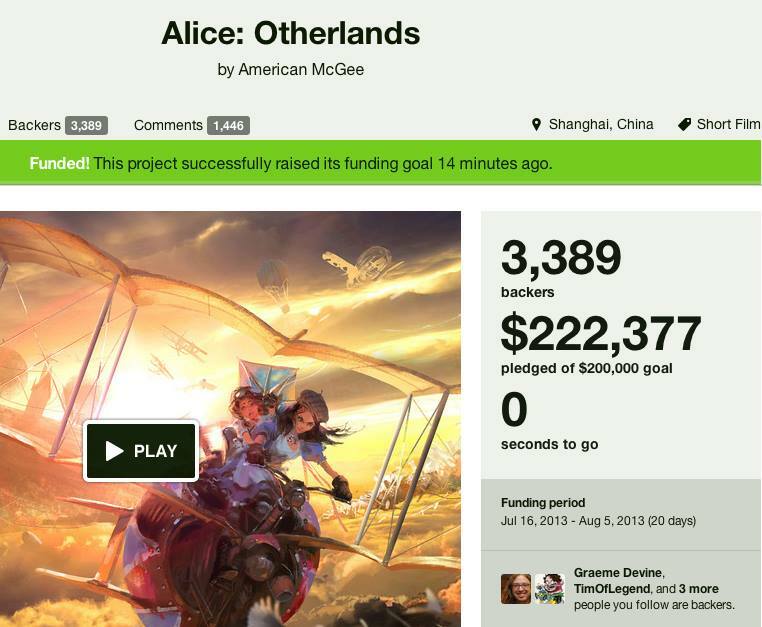 After 20 days and much nail-biting, the Alice: Otherlands campaign has reached a successful conclusion. Coming in at over 222kUSD, the funding will allow us to create a series of animated short films, pursue larger animated series possibilities, begin development work on a feature film and access larger funding options for a possible feature film production in the future. All thanks to the kind support of our backers on Kickstarter. You rock! For those of you who missed out on the action of the race – there’s still a post-campaign funding option via PayPal. Just follow THIS LINK and you’ll be taken to the PayPal campaign page. Backers, your survey links will go out soon. Not sure exactly how soon, since that’s Ophelea’s domain, but I know she’s on it. Regarding Susie and Roger’s involvement in recording VO… I think we’ll be able to make something work. We didn’t hit our stretch goal, but we got pretty close. And, as I’ve mentioned before, I’ve been talking to potential sources of additional funding. If that works out, it should help us not only secure involvement from Susie and Roger, but also work towards making more animations in total. Going forward, I’ll be sure to send out updates when there’s interesting news. This coming week I’ll be talking with Troy, Ed (animators), Chris (composer) and potential funding/platform partners. Heading to Beijing next week to continue feature film funding discussions and more. Very exciting! We’re off and running!